Wheelchair Calf Strap-Fleece For Comfort And Support. 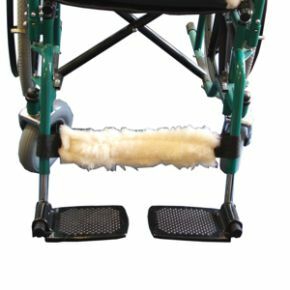 This fleece calf strap provides comfort and support, it is a broad webbing strap with a pure wool cover that secures to the wheelchair with velcro fastening which allows it to be used with most sizes of wheelchair. This is great for my Mum to use as she has ulcerated tender legs yet she needs to use a calf strap ,ideal solution ! 5 stars.